A suggested plan to build a rail tunnel through the Himalayas to connect China and Nepal would cost at least 10 billion yuan (HK$12.6 billion) and is unlikely to be built in the coming years, state media reported. 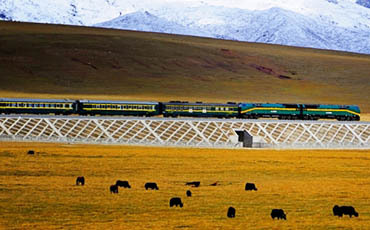 Wang Mengshu, chief engineer with the China Railway Tunnel Group, said that based on past experience with large infrastructure projects in extreme environments such as the high Tibetan plateau, the budget for any tunnel would be 100 million yuan per kilometre and that is probably an underestimate, the state-run news agency Xinhua reported. “Even at that price most construction companies are unwilling to do it,” he was quoted as saying. China’s government suggested in 2008 that it might extend the rail link from Qinghai province to Tibet on to neighbouring Nepal, but no formal proposals or route have been drawn up, the report said. The China Daily quoted Wang earlier this month as saying that the scheme was under consideration and the report was widely picked by overseas media. Any tunnel through the Himalayas would face huge engineering challenges, Wang told Xinhua. Many railways under construction in China were short on cash and ambitious projects such as a Himalayan tunnel would not be approved anytime soon, he was quoted as saying. Fatal accidents among workers building a tunnel were also another major concern, the report said. During the construction of the Qinghai to Tibet railway more than 100 workers died in accidents. Working at high altitudes in Tibet meant that workers would also have to be supplied with oxygen, a further logistical problem to tackle, the report said. Suggestions from media reports that a tunnel could be built by 2020 were incorrect, but if there was the political and financial commitment to build the project, any engineering problems could be overcome, said Wang. The railway would significantly increase trade and tourism between China and Nepal, he said.